It’s often said “It takes a village to raise a child” and Amanda Morby, Petit Early Learning Journey Pimpama Centre Director certainly agrees. Everyone is welcome to come along on the day and feel supported as you can have your questions answered for free from any of the local community health experts in attendance. 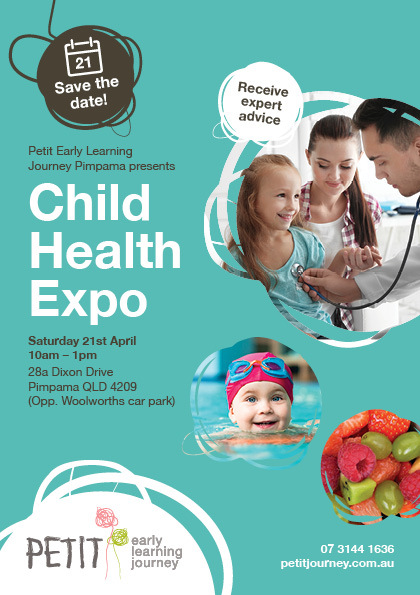 The Child Health Expo runs from 10am – 1pm this coming Saturday 21st April 2018. This event is free to attend, with all welcome. Car Parking is available in the Woolworths Car Park opposite Petit Early Learning Journey. Make sure you keep an eye out for the fire truck and police car that will be parked onsite and open for children to explore.